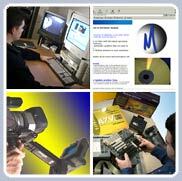 Mediati's mission is to provide high quality productions at competitive prices. We consider each new project unique with its own particular requirements. Our trained and experienced staff share years worth of experience among them. We will work in collaboration with our clients to achieve their expectations. Mediati multi-productions is a video production company based in Montreal and recognized for its ability to deliver cost-effective productions for the corporate, event and broadcast markets. We pride ourselves on creating exciting, dynamic and effective productions for a wide range of companies. 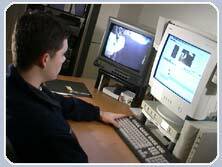 We have also extended our capabilities into interactive CD-ROM productions, web sites, editing systems and technical support. Most of the creative and technical functions that go into our productions are done in-house in order to maintain our high quality standards.